The Spiffy Gear Light Blaster with Universal Studio Adapter Kit was put together by B&H to offer photographers a chance create custom backgrounds using their studio strobes and camera lenses to project patterns, landscapes or buildings on a wall or other surface. You can even use your vacation slides to place your subject in an exotic locale. 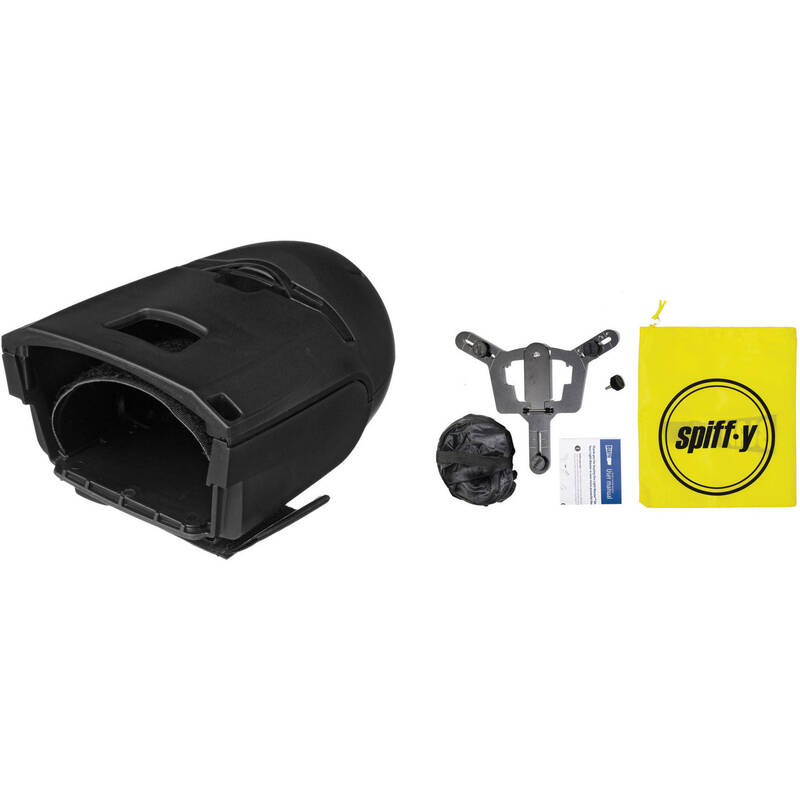 The kit comes with a Light Blaster Projector that accepts your optional lens and and a Universal Studio Adapter that allows you to use a powerful studio strobe for a bright image. Although made for Canon EF or EF-S lenses, there is an optional adapter for Nikon lenses. The Light Blaster Strobe Based Projector from Spiffy Gear allows you to use your shoe mount flash and a Canon EF or EF-S lens to transform an ordinary wall into a creative background of patterns, landscapes, people and places. Use your vacation slides to place your subject in a crowd or on a bridge or in a village square. If slides are unavailable or you just want some fresh material, Spiffy Gear has four creative multiple slide kits for you with everything from haunted houses to vivid patterns to earth in space. There's even a set that will allow you to put your choice of angel or fairy wings on your subject. For Nikon users there's an adapter that lets you share in the fun. The light Blaster comes with a slide cartridge, slide, and a Spiffy case. The Light Blaster Universal Studio Adapter from Spiffy Gear allows you to project bigger and brighter images by using a studio strobe as your light source instead of an on-camera flash. The adapter has 3 tabs and knurled tightening knobs that slide in channels in its frame to accommodate strobe umbrella reflectors up to 8" in diameter. The adapter is for use with strobe only. The modeling light should be off during use. Box Dimensions (LxWxH) 6.3 x 5.85 x 4.0"
Box Dimensions (LxWxH) 11.1 x 9.9 x 2.1"
I wondered the same thing. From their website it appears you put a strobe in one side, a lens on the other, and put a slide in it to project an image for your background. Not a very descriptive description here though.